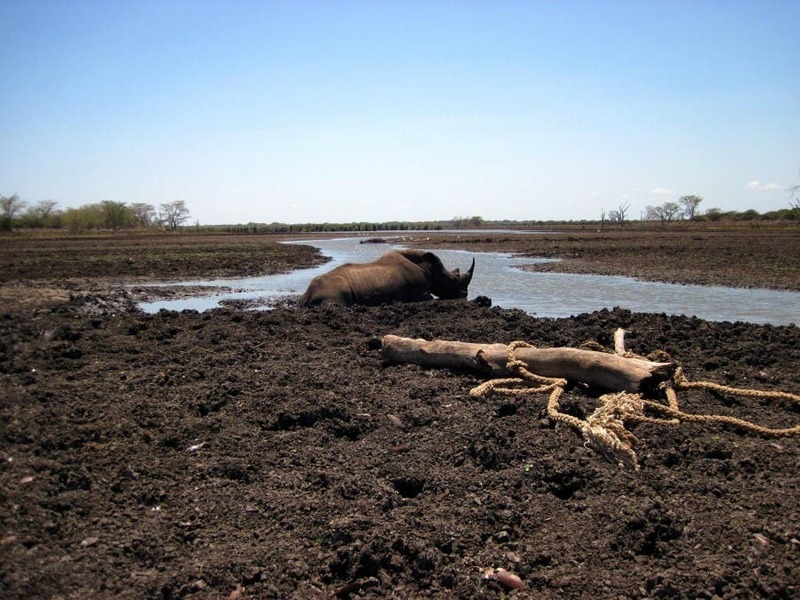 As South African National Parks (SANParks) announced yesterday that it has adopted principles to guide “drought preparedness” across its parks, a wildlife vet has described some of the recent harrowing scenes that have met those travelling through the country’s drought-hit parks. 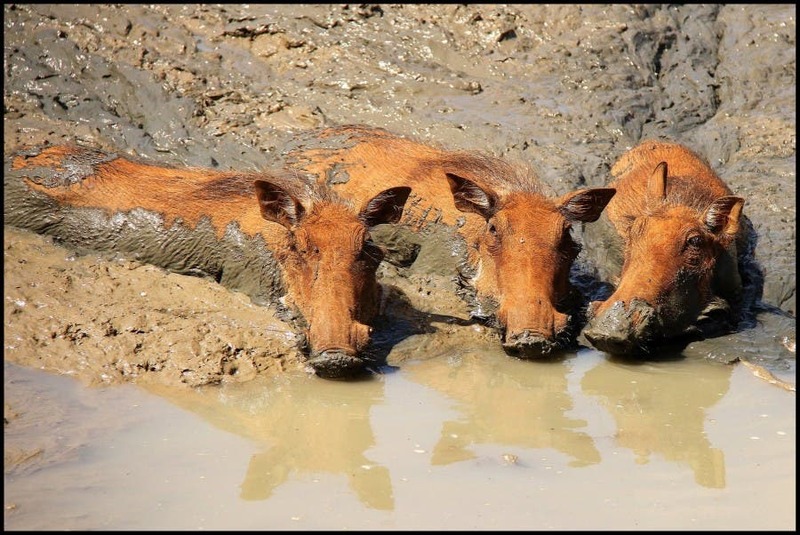 When the rain comes…there is often not enough…leaving weakened animals fighting for their lives to escape the mud. 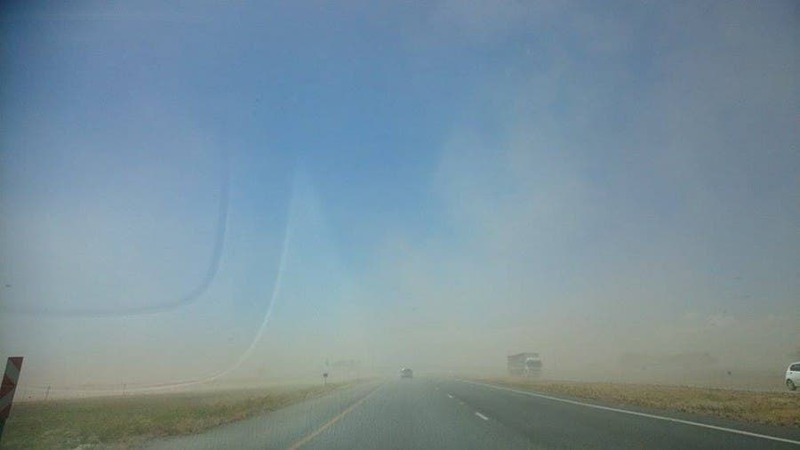 Although rain was welcomed in several parts of the country over the past week – with thunder storms hitting Gauteng and rain cascading down in KwaZulu-Natal – the dry conditions largely continue in KwaZulu Natal, Free State, Limpopo, Mpumalanga and North West. 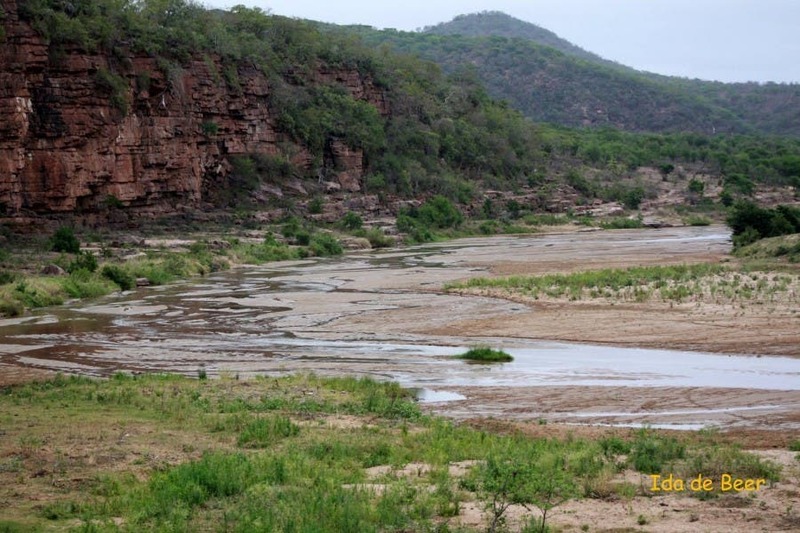 The Umfolozi River on 11 November. Photo by Steve de Ricquebourg. 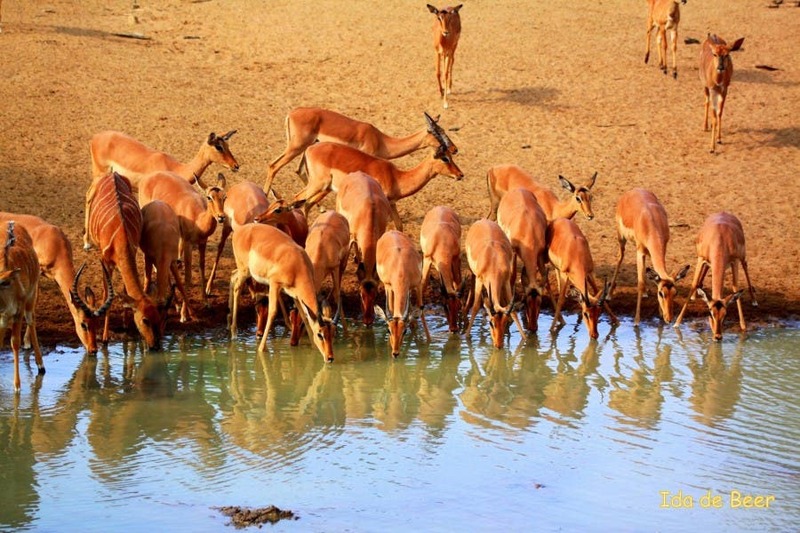 SANParks announced yesterday that it would focus on “managing healthy, naturally regulated ecosystems…rather than the survival of individual animals in all the parks”. For tourists and passionate wildlife enthusiasts it is the plight of those individual animals which catches their attention and breaks their hearts the most. 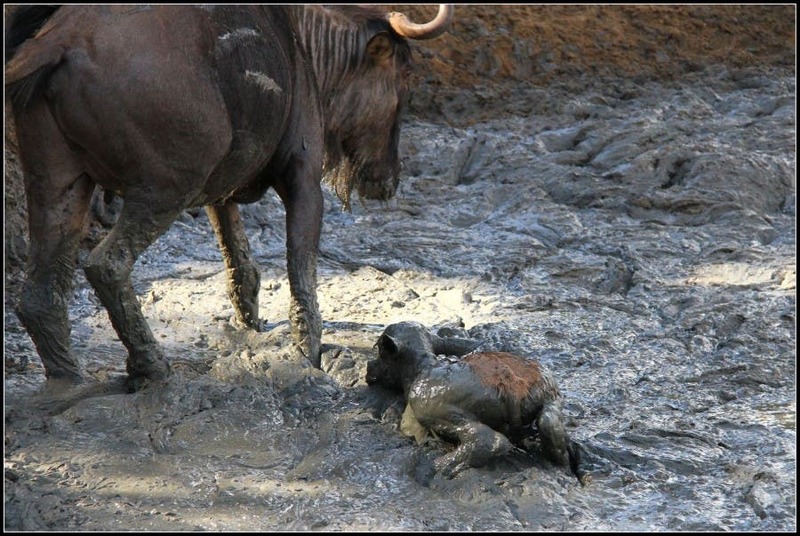 Various private game reserves – including Thula Thula Rhino Orphanage and Phinda (see video below) – have reported animals being stuck in the mud, with dire consequences such as a mother rhino who – although rescued – became so stressed she could no longer produce milk for her two-and-half month old calf. 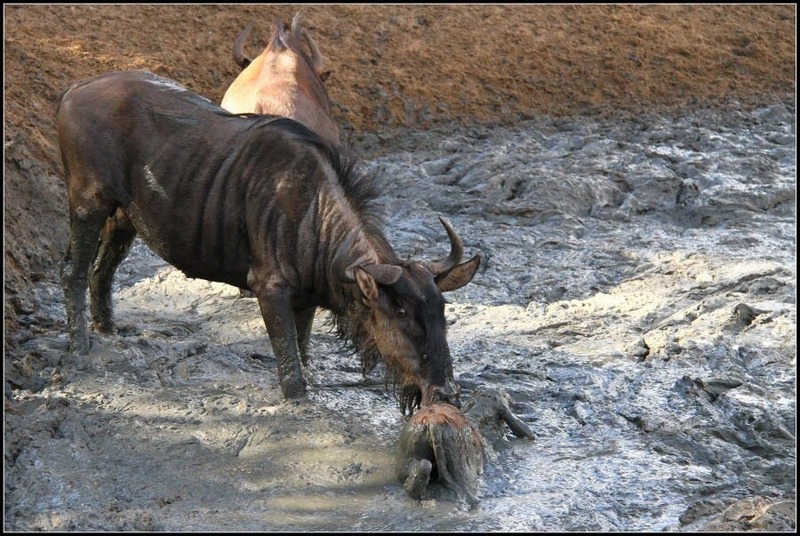 Despite efforts to move the calf to an orphanage, the young animal was too dehydrated and weak…and subsequently died. 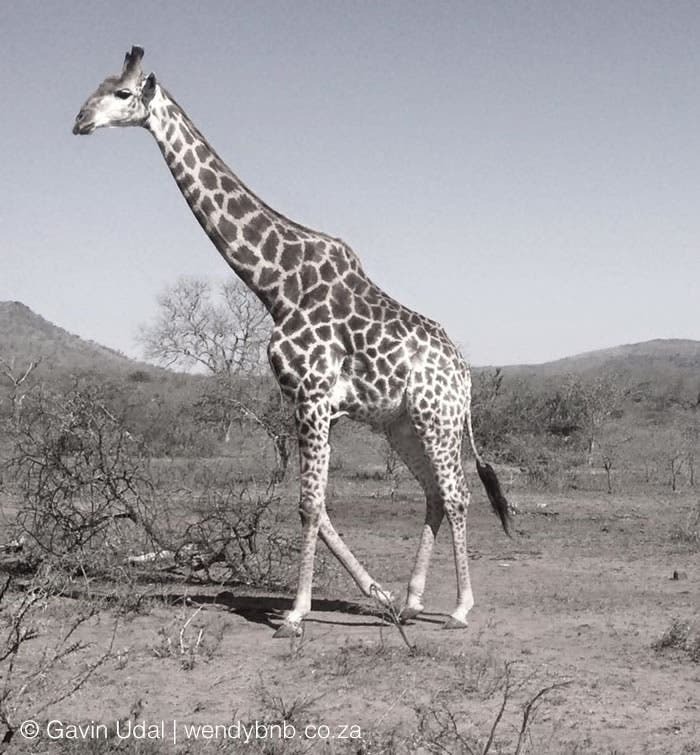 On Monday wildlife veterinarian Dave Cooper wrote the following post on Facebook, which describes what so many have been seeing over the past few months in South Africa. “Friday 20th November was a GOOD day…in the end. 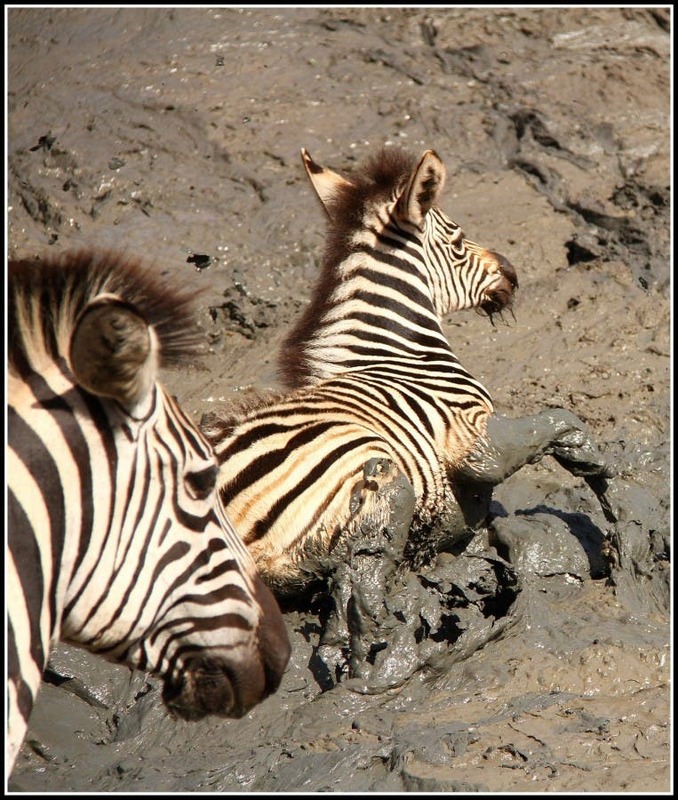 But it didn’t start out that way… “Like so many others these days, we received a distress call to help a rhino stuck in the mud. 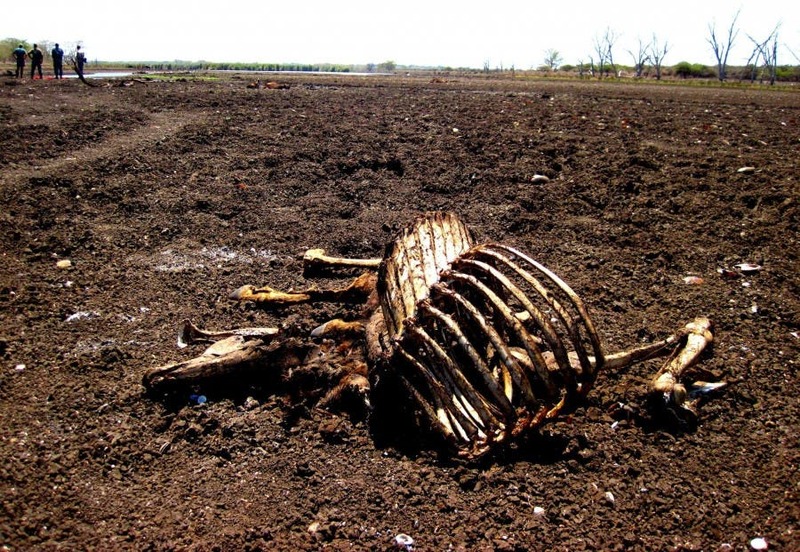 We’ve become used to this lately during this drought, and we know that animals are severely weakened by the lack of food, so even if we get to them in time it may not be enough. “In the end, it may not even be lack of water that kills them, but lack of nutritious grazing, and having to walk too far between the two. “The only species having a good time of it right now are vultures and lions – but that’s nature for you. “For some to win, others must lose. “The scene when we arrived was pretty devastating, like a bad horror movie. 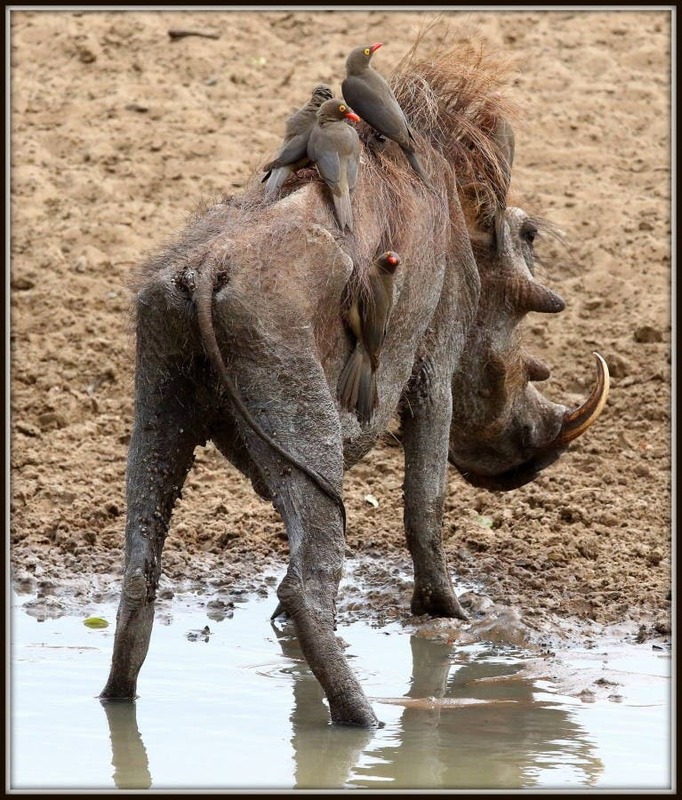 Carcasses of warthog, impala, nyala, buffalo, hippo, zebra and wildebeest were strewn around, filling the air with the stench of death. “And in the distance, a white rhino, too weak to free herself. 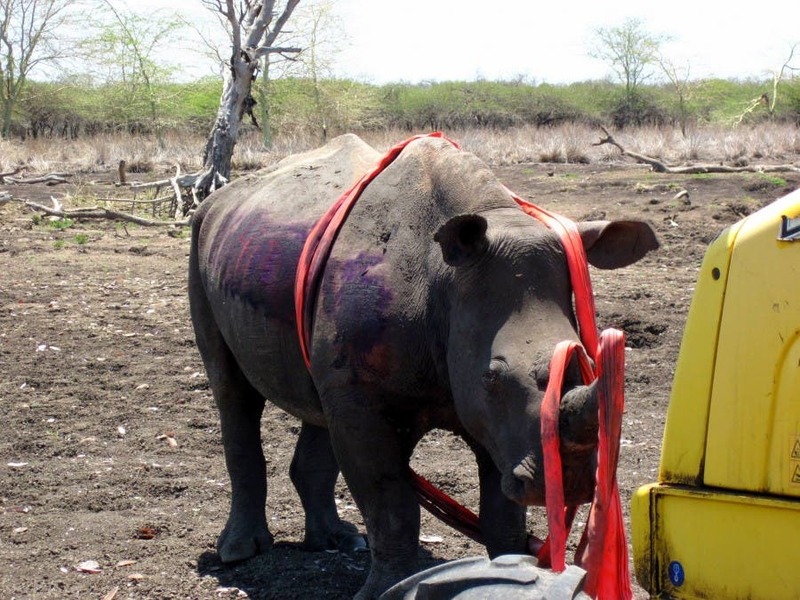 “I darted her and we tugged her to safety on dry ground using a bulldozer, but there she lay, unable to even stand. “The light in her eyes was fading and she looked completely exhausted. 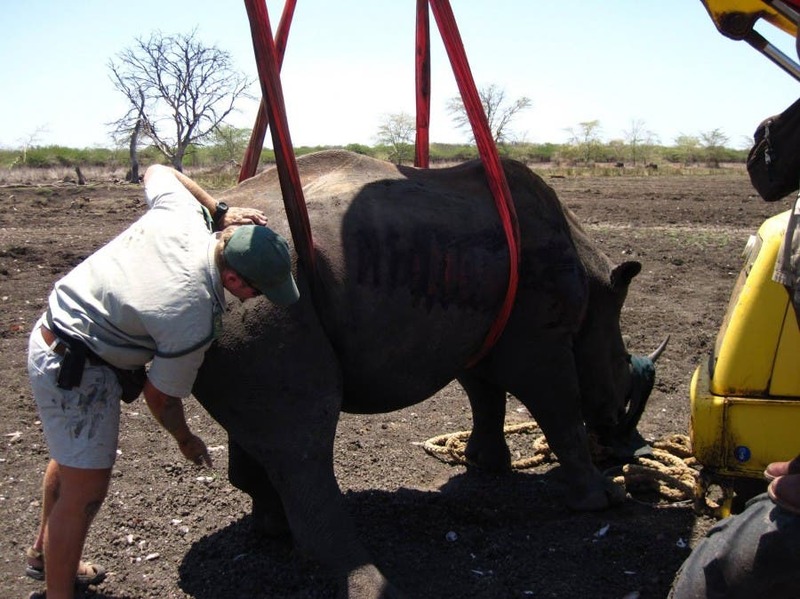 “We managed to get some strops connected to the crane, pushed them underneath and hoisted the rhino onto her feet. “She stayed upright but wobbly, and I really didn’t think she would survive. 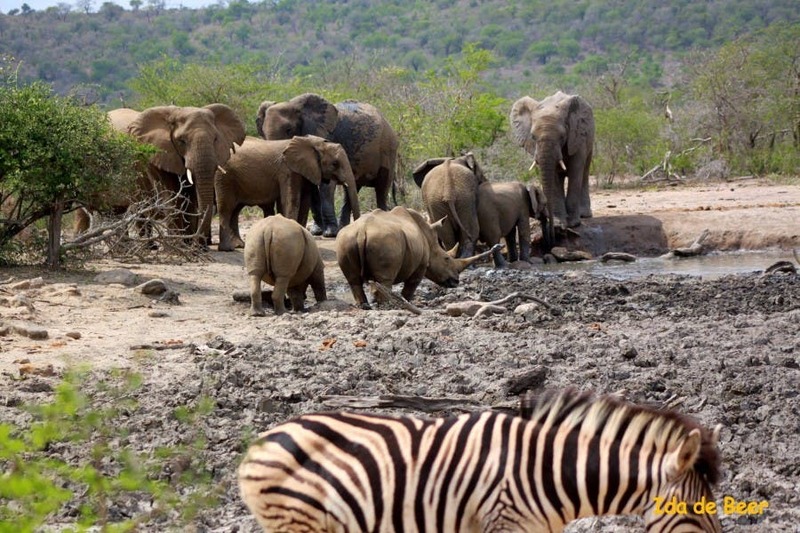 “Eventually we had to leave to our next job, while a field ranger kept watch. On the way home, feeling horribly depressed about always fighting against the odds and wondering ‘why do we do this?’, I received a call. “She had regained some strength and was walking away to find grazing. 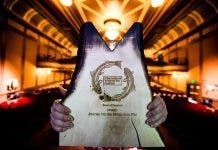 Seriously – that was a VERY HAPPY moment! 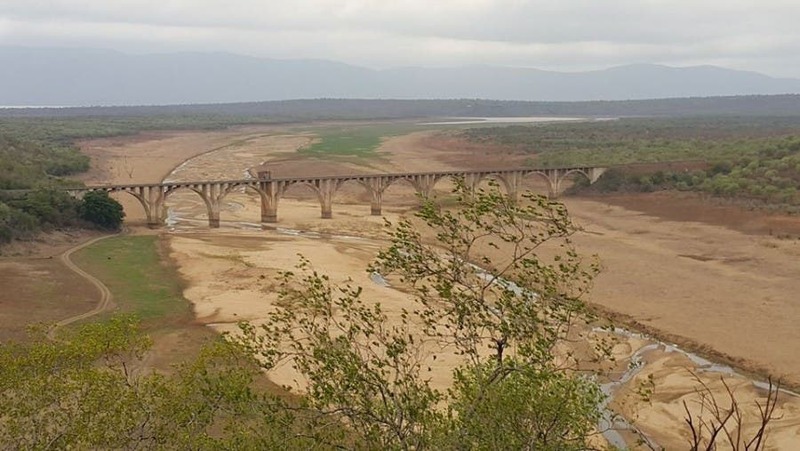 “Even better news – northern KZN received some rain over the weekend and it started to filter into pans and rivers – it may just be enough to bring a green flush as well and turn the tide in this drought…” Until the tide is truly turned, SANParks said it will activate different strategies in different parks as there is no “one-size fits all solution”. 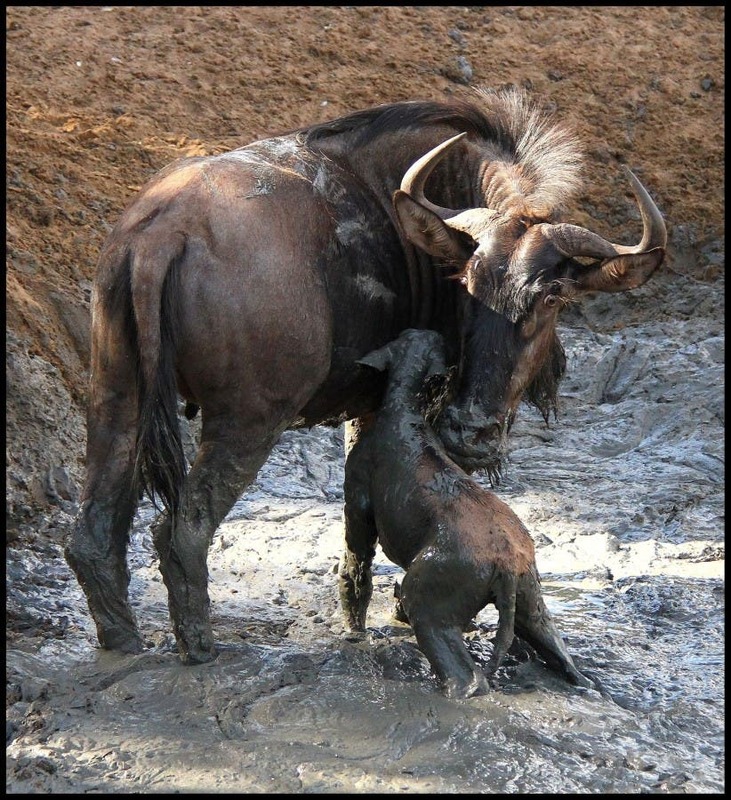 Although SANParks will not be saving individual animals, the pictures below show how some animals are able to help each other. 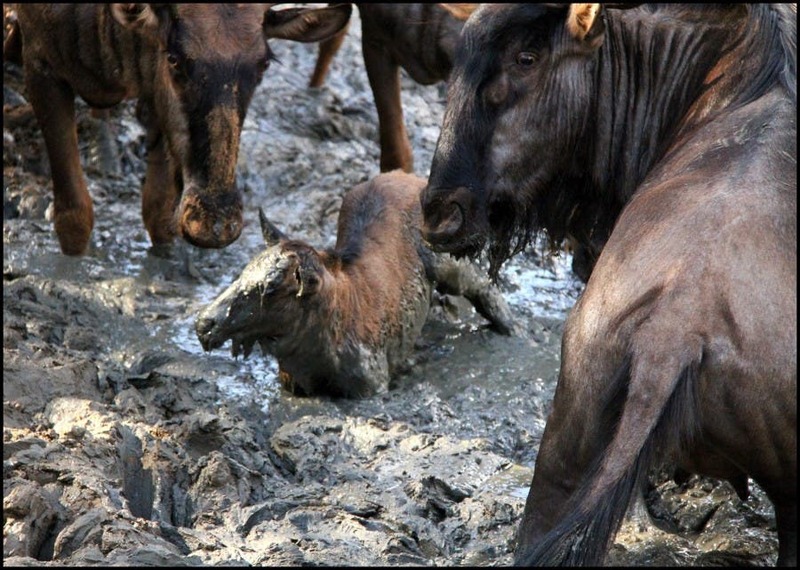 In this incident in September, Romano Volker caught a series of photos of a young wildebeest, stuck in the mud, being rescued by its mother and others in the herd. SANParks says that in some of the smaller parks wildlife may need to be removed to “protect the vegetation from over utilization”. SANParks Chief Executive Officer Fundisile Mketeni said: “We are going to do all in our power to support and enable communities adjacent to the parks we manage, whose livelihoods will be vulnerable during this period. Tourists and visitors to parks are urged to continue using water sparingly and observing water restrictions wherever they occur (see Tips below), and not to feed animals when on holiday. 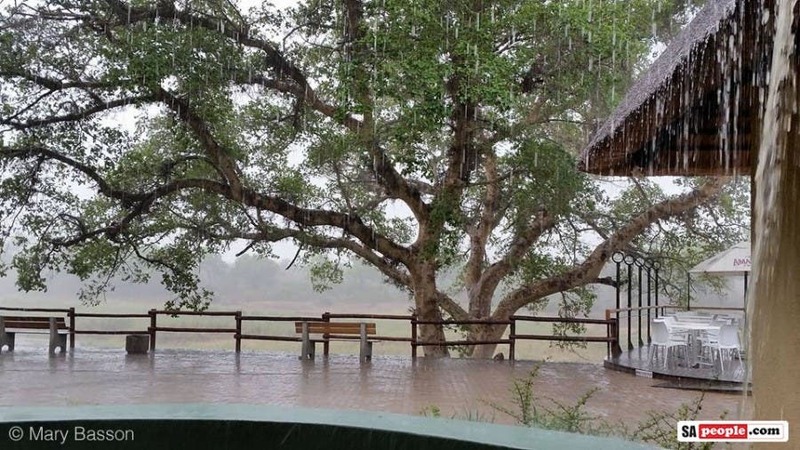 A recent downpour in the Kruger National Park. PHOTOS: Photos on this page have been contributed by Romano Volker, Lesley Millan Schroeder, Steve de Ricquebourg, Gavin Udal, Dave Cooper, Ida da Beer, Rishal Sangan and Mary Basson…thank you! 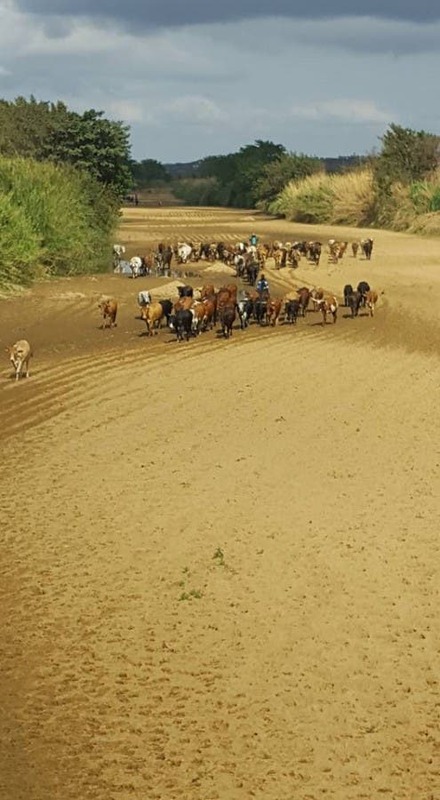 Follow/Help ‘Boere in Nood’ – A group of people helping farmers in drought stricken areas with feed for their livestock etc. They are collecting funds for fuel to help with deliveries. Take a five-minute shower instead of a bath. If you prefer to bath, don’t fill up the bath tub. Kettles should be filled with just enough water for your needs. This will reduce your electricity bill too. Reduce the toilet flush volume, which can save 20 percent of total water consumption. Fix a leaking toilet, otherwise it can waste up to 100,000 litres of water in one year. Avoid flushing the toilet unnecessarily. Dispose of tissues and other waste in the trash rather than the toilet. Use a bucket rather than a hose to wash your car. If you have to use a hose, use a sprayer that can be turned off in-between spraying the car.